transformation to a successful Williams only operating business. disclosures for the Company on www.otcmarkets.com. found on its website at www.wisgrp.com. delivering unsurpassed value to its customers. ATLANTA--(BUSINESS WIRE)--Williams Industrial Services Group Inc.(OTCQX:WLMS) (“Williams” or the “Company”),a general and specialty construction and maintenance services company,will begin trading,effective today,on the OTCQX® Best Market (“OTCQX”) under the symbol “WLMS.” Upgrading from the Pink® market represents the completion of another step in the Company’s transformation to a successful Williams only operating business. “We are excited to have achieved this important milestone,as we continue to pursue our aggressive strategy to grow Williams into a stronger business,” Tracy Pagliara,President and CEO of Williams,commented. Investors can now find Real-Time Level 2 quotes and financial disclosures for the Company on www.otcmarkets.com. In addition,the Company’s reports filed with the U.S. Securities and Exchange Commission and other information it regularly posts can be found on its website at www.wisgrp.com. Williams Industrial Services Group Inc. has been safely helping plant owners and operators enhance asset value for more than 50 years. The Company provides a broad range of construction,maintenance and support services to customers in energy,power generation and industrial end markets. 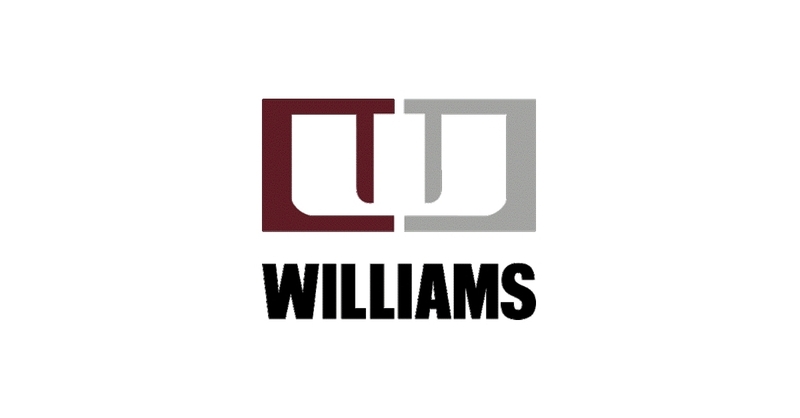 Williams’ mission is to be the preferred provider of construction,maintenance,and specialty services through commitment to superior safety performance,focus on innovation,and dedication to delivering unsurpassed value to its customers. This press release contains “forward-looking statements” within the meaning of the term set forth in the Private Securities Litigation Reform Act of 1995. The forward-looking statements include statements or expectations regarding the impact of the Company’s quotation on the OTCQX,ability to raise capital and fund growth initiatives,statements relating to the expected value of our Company,and other related matters. These statements reflect the Company’s current views of future events and financial performance and are subject to a number of risks and uncertainties,including its ability to comply with the terms of its debt instruments and access letters of credit and surety bonds,ability to timely file its periodic reports with the U.S. Securities and Exchange Commission (the “SEC”),ability to implement strategic initiatives,business plans,and liquidity plans,and ability to maintain effective internal control over financial reporting and disclosure controls and procedures. Actual results,performance or achievements may differ materially from those expressed or implied in the forward-looking statements. Additional risks and uncertainties that could cause or contribute to such material differences include,but are not limited to,decreased demand for new gas turbine power plants,reduced demand for,or increased regulation of,nuclear power,loss of any of the Company’s major customers,whether pursuant to the loss of pending or future bids for either new business or an extension of existing business,termination of customer or vendor relationships,cost increases and project cost overruns,unforeseen schedule delays,poor performance by its subcontractors,cancellation of projects,competition,including competitors being awarded business by current customers,damage to the Company’s reputation,warranty or product liability claims,increased exposure to environmental or other liabilities,failure to comply with various laws and regulations,failure to attract and retain highly-qualified personnel,loss of customer relationships with critical personnel,volatility of the Company’s stock price,deterioration or uncertainty of credit markets,changes in the economic and social and political conditions in the United States,including the banking environment or monetary policy,and any suspension of the Company’s continued reporting obligations under the Securities Exchange Act of 1934,as amended. Other important factors that may cause actual results to differ materially from those expressed in the forward-looking statements are discussed in the Company’s filings with the SEC,including the section of the Annual Report on Form 10-K for its 2017 fiscal year titled “Risk Factors.” Any forward-looking statement speaks only as of the date of this press release. Except as may be required by applicable law,the Company undertakes no obligation to publicly update or revise any forward-looking statements,whether as a result of new information,future events or otherwise,and you are cautioned not to rely upon them unduly.